Women yearn to share their experiences with the Lover of their souls in a way that is honest and simple, yet deeply satisfying. The key to this intimate self-expression is prayer-journaling. By pouring her heart out on paper to God, a woman can enjoy God's loving presence, explore her purpose and passion, appreciate life's beauty and answer its perplexities, experience spiritual transformation, and leave a permanent record of God's faithfulness in her life. Love Letters to God is a woman's invitation to take a personal pilgrimage through her own 'sacred writings' to the very heart of God.<b> <br><br>DISCOVER THE WAY TO GOD'S HEART</b> <br><br>Your holding an invitation in your hands&mdash;an invitation to take a personal pilgrimage through your own 'sacred writings' to the very heart of God. <br><br>If you're intimidated by praying aloud or easily distracted during your devotional time, pouring your heart out on paper will give you the privacy and intimacy you need. Inspired by these beutifully written reflections, you'll find the most fullfilling way to enjoy God's loving presence, explore your purpose and passion, and leave a permanent record of His love and faithfulness in your life. <br><br>Find freedom, healing, hope, and security as you share your deepest longings with the lover of your soul.<br><br><b>Story Behind the Book</b><br><br>Writing one&rsquo;s prayers in a journal (unlike verbal or silent prayers) provides an actual safe place to grow spiritually and to enjoy and enhance a personal relationship with God. 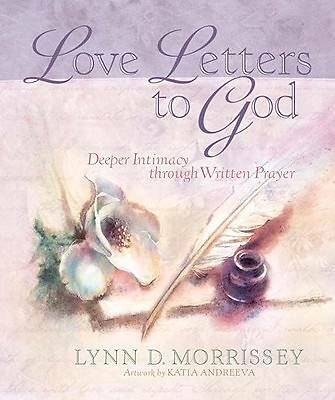 Verbal prayers are soon forgotten, but our "love letters to God"become a permanent place for exploring our hearts, a tangible testimony of God&rsquo;s love and faithfulness in our lives, and a detailed document of our spiritual journeys. We can literally <i>see </i>the progression of changes in our lives as expressed on the "pages of our soul," our prayer journals, and we can <i>see </i>God&rsquo;s answers to our prayers recorded there. Like the psalmists, many people have discovered that writing is the key to intimate self-expression, providing a deep, emotional catharsis that is often missing from their verbal or silent prayers.